Total housing inventory (or the inventory of homes for sale) fell 8.0% from last month and is now 9.3% lower than November 2015. 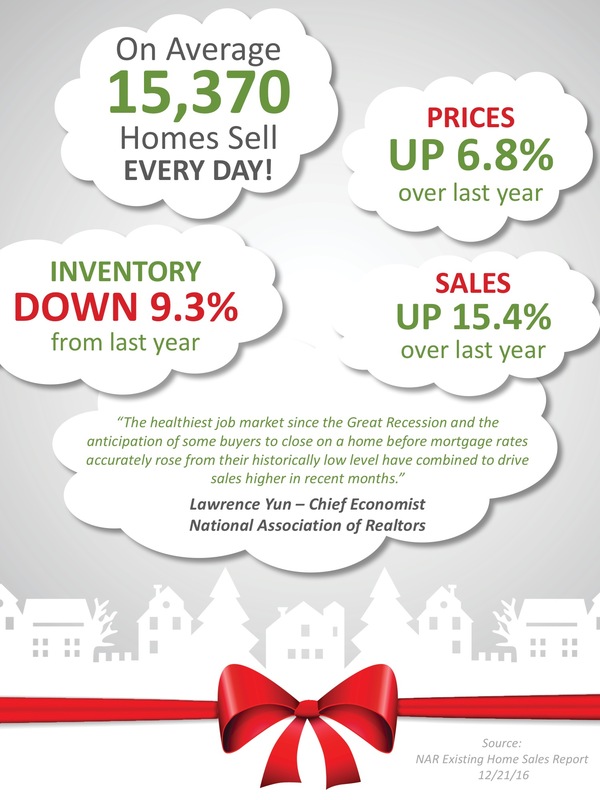 Inventory has dropped year-over-year for the last 18 months. The median price for all home sales in November was $234,900, up 6.8% from last year and marks the 57th consecutive month of year-over-year gains.